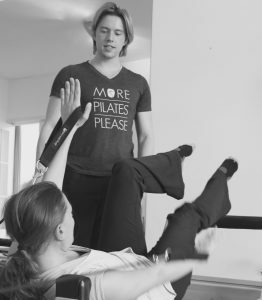 These classes on the Reformers offer a nice total body work-out with a focus on alignment. 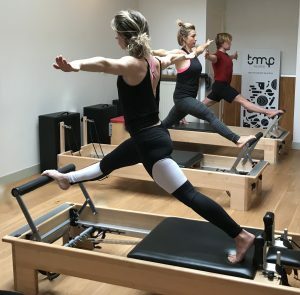 Working with spring resistance adds a whole new challenge to Pilates. A minimum of 3 private sessions is needed (see introductory special) before joining this group class. Ask your teacher which Reformer Class would be suitable. There is a maximum of 4 people in this class. We advise to reserve ahead. A solid knowledge of pilates mat and apparatus is required. Have a look at the schedule for times and levels.